It is generally known that when the grain is primed, saturated with a solution of biologically important elements and subsequently dried, the aleurone layer selectively permits ions of various metals. It is also known that in the case of a deficiency of molybdenum in the soil, a non-molybdenum inactive population of molecules of xanthine dehydrogenase and nitrate reductase is synthesized in plant cells. Presowing priming of wheat grain in molybdate solution of optimal concentration allows grain to germinate more actively. Upon germination of the wheat grain, in the process of embryo cells division, exogenous molybdenum is incorporated into the molecule of the non-molybdenum forms of the newly synthesized molybdoenzymes – nitrate reductase and xanthine dehydrogenase. This leads to the complete activation of the non-molybdenum forms of nitrate reductase and xanthine dehydrogenase in sprouted wheat grain. Since nitrate assimilation induces nitrate reductase synthesis, which uses reduced nicotinamide adenine dinucleotide as donor of electrons, nicotinamide adenine dinucleotide oxidized pool is formed in the cells, what is specifically required for the oxidation of xanthine to allantoin (via uric acid) by xanthine dehydrogenase. Our results show that prior to sowing priming of wheat grain of the “Baiterek” cultivar in molybdate solution and further growth in a nitrate containing medium abruptly increases the content of the antioxidant allantoin in germinated grain. SHALAKHMETOVA, G. A. et al. The effect of presowing saturation with molybdatenum and presence of nitrate on the allantoin content in sprouted wheat grain. International Journal of Biology and Chemistry, [S.l. ], v. 11, n. 1, p. 41-48, aug. 2018. ISSN 2409-370X. Available at: <http://ijbch.kaznu.kz/index.php/kaznu/article/view/312>. Date accessed: 24 apr. 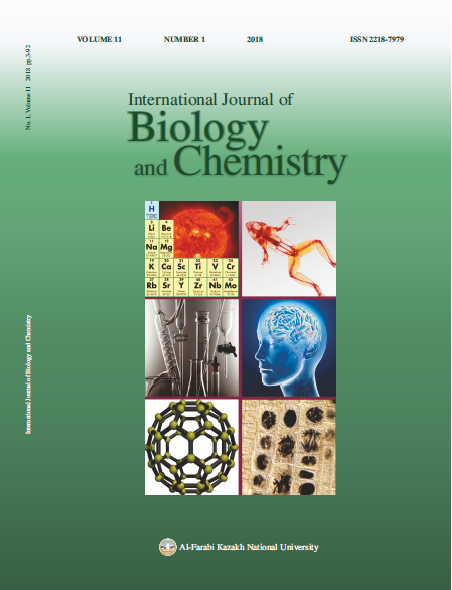 2019. doi: https://doi.org/10.26577/ijbch-2018-1-312.